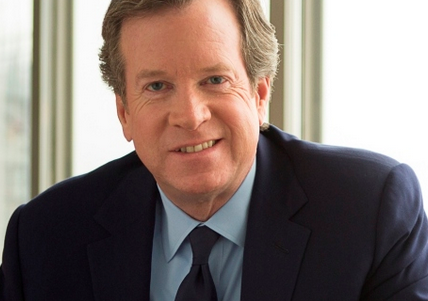 The interim president and CEO of Viacom, Tom Dooley, will leave the media giant in November. Dooley (pictured) has informed the board of his decision to exit on November 15 “to facilitate an orderly transition”. “These actions are designed to balance the Company’s focus on a strong balance sheet and its strategy to invest in world class content and pursue opportunities to grow its core businesses,” the company said in a statement. Dooley has been president and CEO since August, when the long-serving but much-criticised Dauman was confirmed as leaving the business, and a new board was installed. Dauman was the main cheerleader for selling a stake in Paramount to access cash, a plan that Viacom majority shareholder Sumner Redstone had vehemently disagreed with. Reuters reported candidates for the CEO post included former Time Warner Cable Rob Marcus, former 21st Century Fox president Peter Chernin, and Jeffrey Katzenberg, the founder and CEO of DreamWorks Animation who recently sold his business to Comcast. Internal contenders include CFO Wade Davis and Viacom International Media Networks president Bob Bakish. Viacom’s television assets include cable channels MTV, Comedy Central and Nickelodeon. It has a sprawling international operation that Bakish has led since 2007. Resolution of the chief executive crisis will help Viacom regain the confidence of the credit market. Influential agency Moody’s in August said the firm’s outlook was negative due to weak performance and ““unprecedented corporate governance crisis”. “The board believes Viacom has a product strategy that is among the best in the industry,” said Tom May, board chairman. “The steps we are taking will make the Company financially stronger and more flexible and will position Viacom to take advantage of future growth opportunities.